The founder of the company contacted us because they were looking for a partner who will heat up their design and implement a new responsive and unique theme on each of their three sites with custom variations. We started the process with wireframing of all main pages and we made sure to involve the client in the whole planning process. 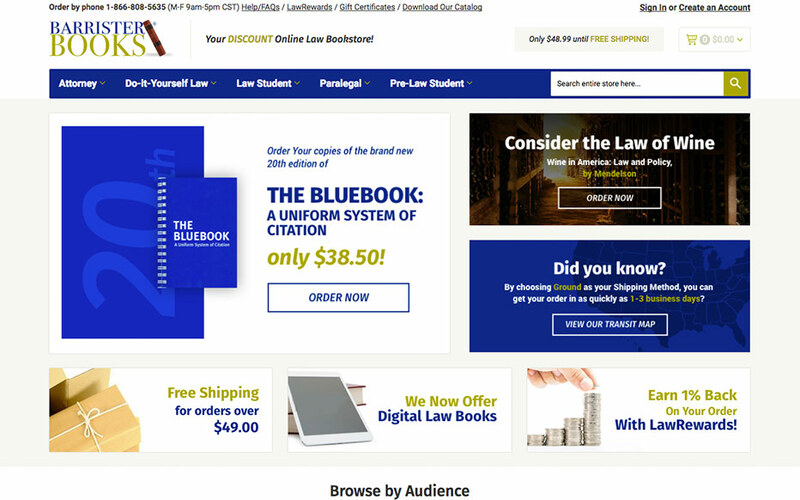 It was decided that we would redesign their flagship site – BarristerrBooks.com and establish a style guide that would be implemented on LawBooksForLess.com and LawBooks.com. Their business expanded by offering new services, such as renting and downloading legal textbooks. Due to its level of flexibility and customization, Magento is a great fit when growing a business, so implementing rental and downloading options was almost like a walk in the park for our Certified Developers. While working on this project, we stumbled upon some potential technical problems that were better to be fixed than to be sorry. Keeping in mind the client and their customers’ needs, we’ve created new custom functionalities to make the shopping experience more enjoyable. Layered navigation, more accurate product feed listing, and the ability to shop by topic are now essential parts of the store. 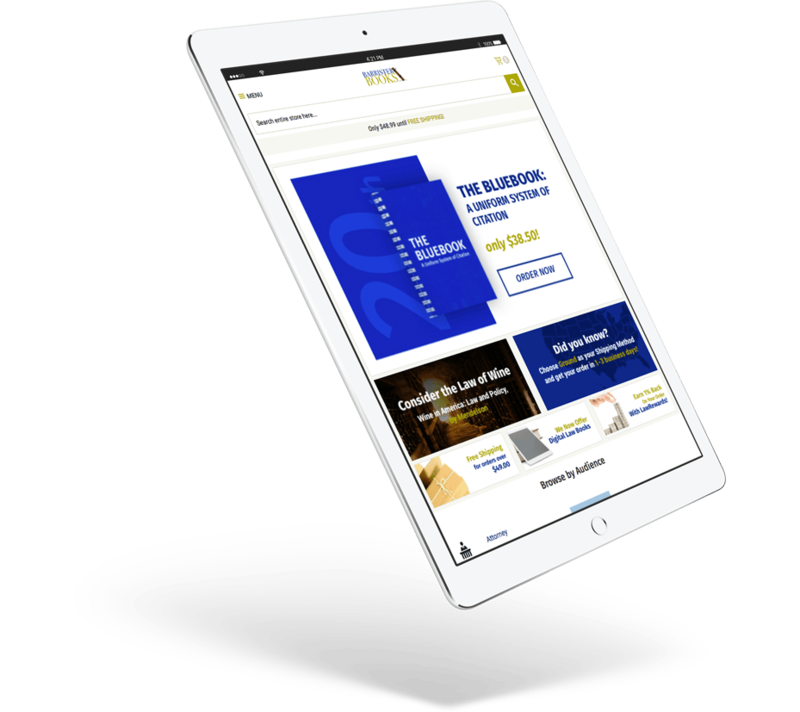 Nowadays, whether you’re checking BarristerBooks, LawBooksForLess and LawBooks on desktop, tablet or mobile, the site is responsive, looks clean, it’s easy to use and navigate. With their excellent service, we are sure that BarristerBooks will stay at the top of law books providers. We are pleased with the results. I appreciate you working with us through the process. I hope we have the opportunity to work with Inchoo again in the future.